A self-proclaimed leader of hacking group Lulzsec has been arrested in Sydney, know by online name "Aush0k". Australian Federal Police confirmed they arrested the unnamed 24-year-old man from Point Clare yesterday. The police allege that the man compromised and defaced a government website, triggering an investigation that led to his arrest. The man is reportedly a senior member of staff at a prominent Sydney IT firm, and used his position of trust within the company to get access to sensitive information. His knowledge and skills presented "a significant risk to the clients of the company for which he was employed had he continued his illegal online activities," police said. He faces a maximum of 12 years in jail. AFP Commander Glen McEwen says "This man is known to international law enforcement and police will allege he was in a position of trust within the company with access to information from clients including government agencies,"
It’s worth noting that Anonymous members in Australia are claiming that the man arrested isn't the leader, he’s just someone who participated in DDOS attacks. LulzSec gained international attention when they hacked the Sony website in 2011, taking down the company's PlayStation network for weeks and accessing millions of users' accounts. "Aush0k" also posted a video to video sharing website Vimeo in 2009 announcing his "return" to the internet, referring to himself as the "final boss of the internet". After a 50-day hacking blitz, the group suddenly announced in June of that year that it was leaving the hacking world, saying that its time was up. 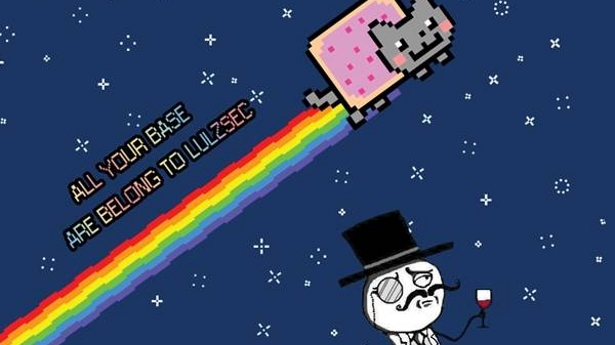 In March 2012, the FBI arrested several members of LulzSec and Anonymous.